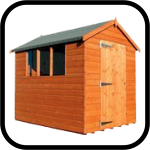 This range of ready built sheds represent great value for money. 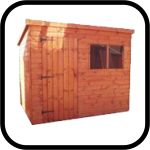 Don't mistake the cheap prices of our wooden sheds for anything other than great value. 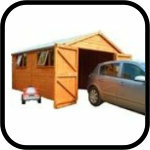 The price includes delivery and fitting, it's as easy as that. 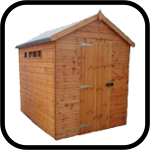 These wooden sheds are also available in a range of painted colours. 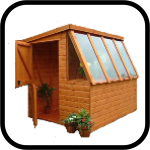 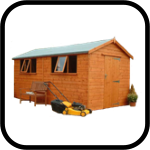 These garden sheds offers you a range of garden storage solutions and at great prices. 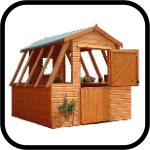 We have most of these at our showsite at Woodmeadow Garden Centre. 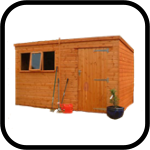 Why not call in and see the team there, on the A43 between Northampton and Kettering. 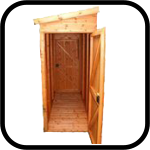 Call first to make sure they have what you want as the stock changes. 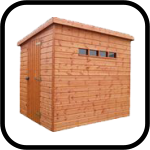 The full details can be found on each listing with a map to illustrate where installation is free and the costs for other areas. 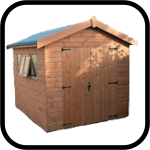 We get asked a lot about installation and why are sheds always brown. 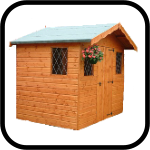 Now they're not. 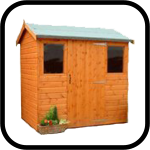 A great range of painted colours to choose from and remember these are great value sheds not cheap sheds.